This is a 2 bedroom apartment which is a walking distance from the beach. The kitchen is fully equipped with WM & DW. It has a breakfast area with 3 chairs. There is also a small dining table and chairs for 4. There are 2 bedrooms which sleeps 4 in total. The masterbedroom comprises a double bed and has an unsuite. The guest bedroom comprises 2 single beds. Both bedrooms have wardrobes and bedside cabinets inside them. The main bathroom contains shower, bath and WC. The property is in a great location as there is access to all resturants and café as well as the beach. This is a very suitable place for family and couples. In the summer there is a fair for children which is very entertaining and fun. Welcome to Bournemouth - one of the most picturesque coastal resorts in the United Kingdom. Known for having 7 miles of beautiful beaches, amazing Victorian architecture, and buzzing nightlife, it offers a wide range of things to do, to inspire and make a truly exciting memories. Our modern apartment offers a stylish and convenient year-round touring base. This specious coastal apartment is situated within a short walking distance of the Blue Flag accredited beach, which is famed for golden sands. It also benefits from a variety of shops, pubs, and bars being nearby - an ideal location for a seaside holiday, either for a discerning individual or for a family. 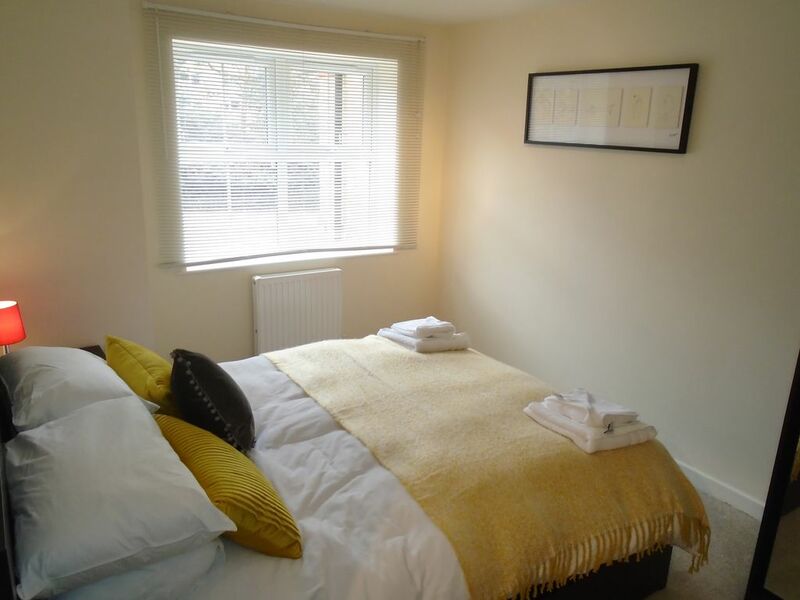 The apartment has been tastefully furnished and is well equipped to cater for your needs. There is plenty to do in Bournemouth, all year round, including trying your hand at tenpin bowling, catching a play at a local theatre, leisurely walks on a world-famous Bournemouth Pier and seafront, or spending a day at an activity centre with an obstacle course, a climbing wall and a zip to name a few activities on offer. And don't leave the town without visiting a stunning shopping arcade, known as Gervis Arcade or the Royal Arcade. This grand Victorian covered row of shops is filled with high-end boutiques and beloved British High Street retailers. Film connoisseurs will be well entertained with a choice of ten state-of-the-art screens at the magnificent Odeon cinema at Bh2 Leisure, right in the heart of town. And for green-finger enthusiasts, the 2-mile long Bournemouth Gardens will dazzle with discoveries at rock garden, an aviary and plant species from 3 continents. There is also plenty for the culturally curious to explore, including high-quality art galleries and performance spaces. Bournemouth is blessed with a warm microclimate and offers excellent indoor and outdoor activities that can be enjoyed whatever the weather. We can't wait to welcome you and help you make the memories that will last a lifetime. Great base for us for the weekend to settle our Daughter into university as was close enough to everything we needed. It did say there was a hairdryer but we couldn't find it but there was a cupboard with a broken handle we couldn't get into just in the main corridor so it may have been in there. Everything was clean and tidy and the beds were comfortable but the spare pillows didn't have covers on so didn't want to use so made do with one. Brand new towels were provided for us which was lovely but still had all the labels and plastic tags attached and couldn't find any scissors but luckily my daughter had some with her. I would definitely book again and most likely will as daughter in Bournemouth now for 3 years so its on our revisit list.